Wanderprep offers straightforward advice on gear, apps, and gotchas to help busy people travel smarter. It’s easier than ever to book a trip anywhere in the world using information you found online. There are plenty of hotel and flight booking sites, free travel guides, and forums featuring people discussing the best places to visit in various locations. For new travelers or people who need a little extra guidance, however, all of this information can be overwhelming. Wanderprep is an online travel guide and blog created by Jono Lee, an expert traveler and Remote Year veteran. 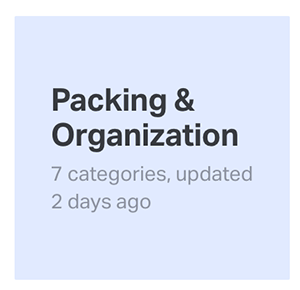 The site is separated into three sections: Gear & Products, Apps & Services, and Checklists & Tips. It’s a great starting point for anyone interested in learning more about travel. 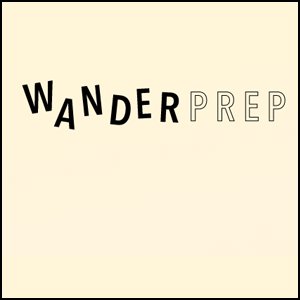 The fact that Wanderprep is a passion project created by one individual shows in the site’s writing and recommendations. Lee doesn’t write clickbait articles, and he remains committed to his focus of promoting “responsible travel” that benefits both the individual traveling and the location in which they are visiting. He doesn’t recommend sites and products purely just to profit off them, but because he genuinely believes people will benefit from knowing about them. If you’re a seasoned veteran traveler, some of his tips, like Google Flights or Kayak, might seem basic. But there’s something for everyone to find on Wanderprep, whether you’ve been around the world and back or are just getting ready for your first big trip.